Over the past few weeks, there has been a flurry of rumors surrounding Facebook. While we’re hearing mentions and partial stories from a thousand different sources, let’s put it all together and see exactly where Facebook stands, as of today. Is the vast majority of the site owned by someone else? 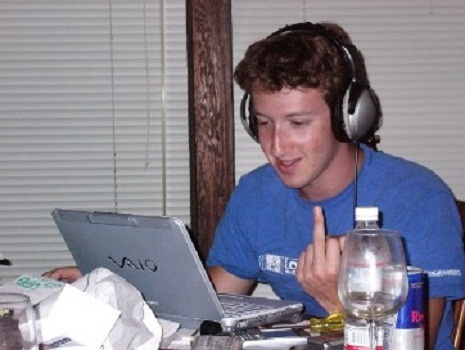 What exactly was Zuckerberg’s “deal” with this mystery character, if any? And what about that movie? However, that information alone doesn’t really lead anywhere. What could have been damaging, however, was a lawyer from the Facebook camp stating that they were “unsure” as to whether the contract existed. Zuck, however, has stated that he is “quite sure” that a contract giving Ceglia 84% of the company was never signed…even if he did stammer a bit before spitting out the words. In order for this case to move, however, one side or the other needs to be able to prove their claims. As of yet, that simply hasn’t happened. Then, of course, there is “that movie“. The Social Network is advertising itself to be a (possibly over-dramatic) portrayal of Zuckerberg’s work while at Harvard, and then moving into Facebook as it is today. Zuckerberg, however, claims that the movie is a work of fiction. This is the singular question that seems to surround everything at Facebook lately. Even though there obviously wasn’t the massive user loss in the aftermath of the privacy changes, the site still has more than a few dissenters. Facebook appears to be attempting a cleanup of its name, however. Lately, Zuck has been more open about what he wants the company to do. Facebook has implemented easier privacy features, and seems to be headed in a more open-door direction. However, as “the movie” says: you don’t get 500 million friends without making a few enemies.